Oh to be 14 years old again, we’d probably be taking advantage of our free time to goof off with friends. Meet Ellie Yeater of Williamstown, West Virginia. 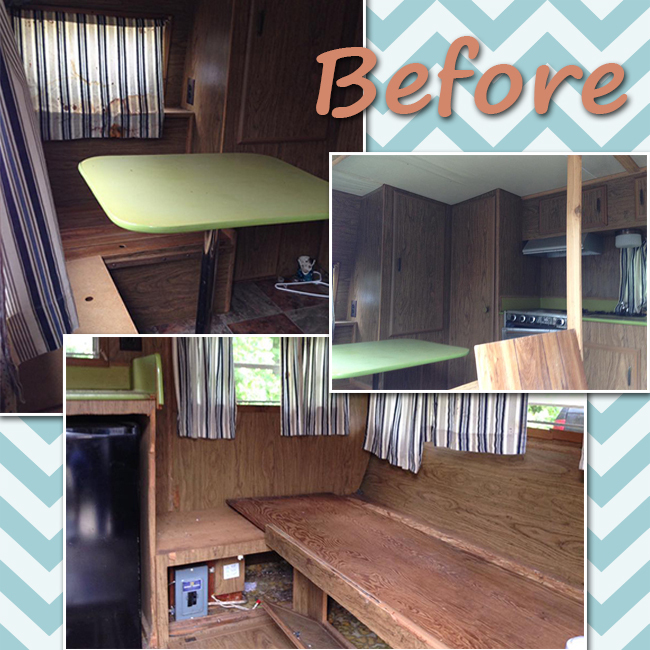 Instead of goofing off with friends, she decided to spend her summer renovating an old 1974 Wilderness camper into a cheerful “glamper” using $500 of her own savings. Her brother already has a small cabin of his own on their family’s 60-acre property, so Ellie wanted a space she could call her very own as well. 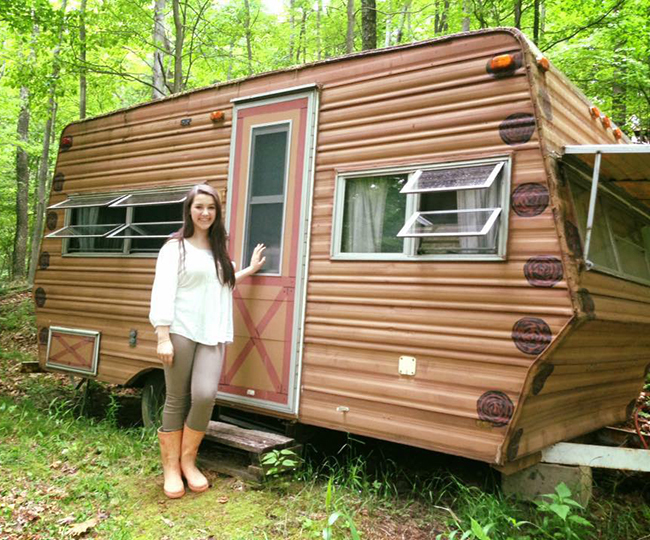 This search led Ellie to purchase a camper for $200 in hopes that she could fix it up to reflect her personality. The interior was mostly just covered in plain wood, lacking any sort of creativity. It was in rough shape and definitely in need of an upgrade. 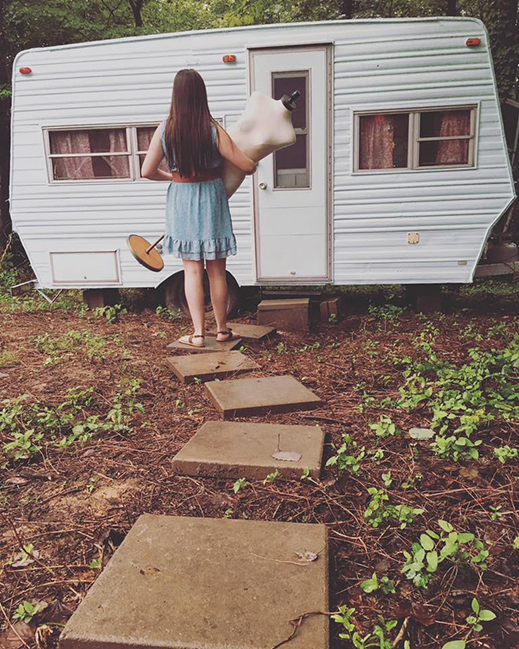 Ellie started the project off by gutting the camper from top to bottom with the help of her dad and grandfather. 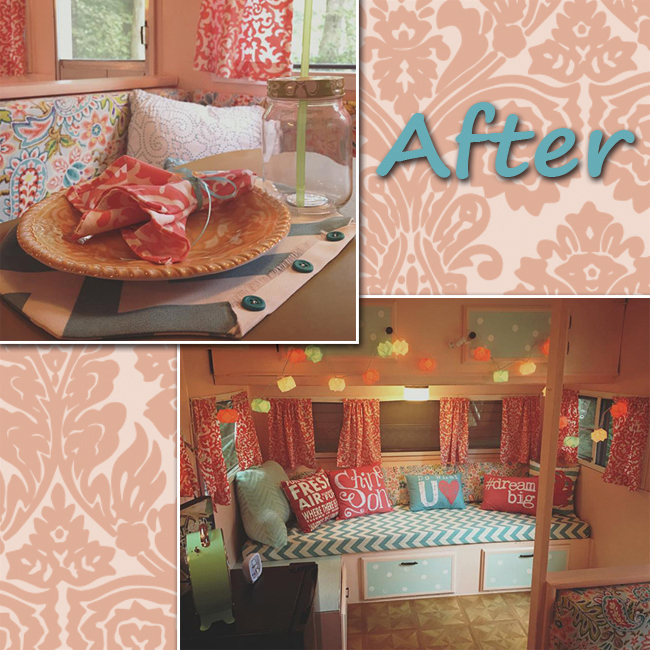 However, Ellie’s favorite part of the renovation was getting to add her own flair to the camper. According to Lori of Woodworking Adventures, the decor is extra special because it included personal touches, like napkins made by Ellie’s grandmother. You can see the full transformation at Woodworking Adventures. They Climbed The World’s Highest Crane, But Trust Me , By 1:59 You’ll Want To Look Away!